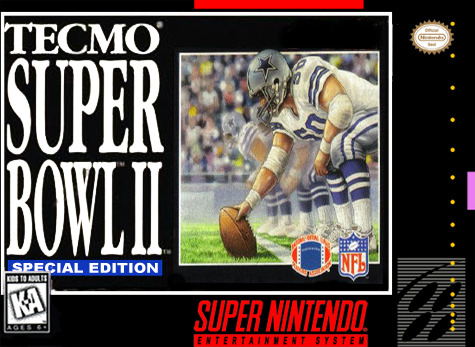 Tecmo Super Bowl II: Special Edition for Super Nintendo includes all 28 NFL teams. Realistic sound and player simulation make for some pretty exciting entertainment, and tournament-style play adds to the huge thrills. You call all of the plays, right down to the quarterback audibles and surprise blitz sequences.